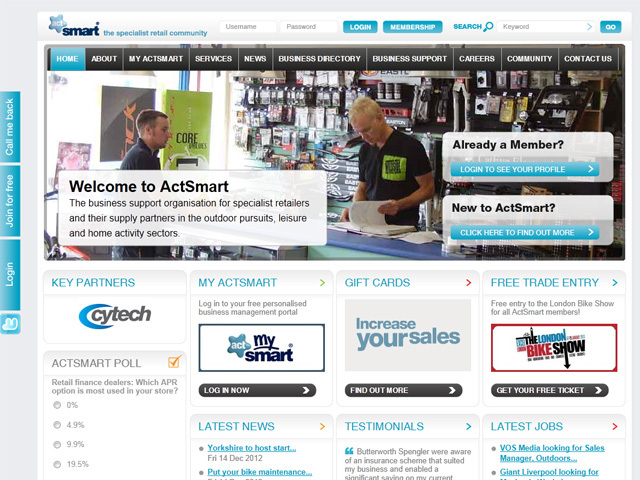 ActSmart is one of the largest and fastest growing UK trade organisations in the leisure sector, with over 2,500 members. In 2007 they needed a database to keep track of their members, communicatons and services which were changing rapidly at the time. The database also needed to feed the membership directory on the website. We built them a CRM using Microsoft technologies integrated with their PHP and MySql website. Rapid prototyping enabled us to quickly deliver a system that met their immediate needs and developed along with thier changing business procedures. TGSI is now responsible for the development of all of ActSmart's growing number of web platforms.